Skateboard camps can be anything from a casual drop off at the local supervised skatepark to a full on extreme sports camp. Complete with cabins multiple skateparks and professional skateboarders. As seen here I have spent a few summers working at and instructing kids at a skatepark. The things I learned then still ring true at any skatepark around the world. This is when parents drop their kids off at the pay skatepark and leave them there. This is an unofficial, unstructured daycare sort of thing. Some parents have figured out that a skatepark is the cheapest daycare around. At $15 dollars a day plus some food, your little shredders can be the skatepark attendants’ problem for the summer. This is a very common thing at the skatepark. It works for the parents, they get relief. It works for the kids, they get to skate and hangout on their own. With an attendant there in case they get hurt. Which doesn’t happen too often in my experience. Any supervised skatepark I have ever been to has kids that are there day in and day out every day of the week. You get to know these little groms and they become part of the skatepark experience. These are often run by a local skatepark or skateshop. You drop your kids off for the day and get them at night. They are often staffed by local skateboarders. The prices range all over the place.Probably $250 for a five day week. Gives you a semi structured place to send your kids while you are at work. A day filled with instruction and games, lunch and maybe a day trip to the water park or something.Not bad to get the youngun a place to go while you are at work. Is it? Skateboard Camps that you send you kids to for a week in the summer. They stay there over night and skateboard for the week. These camps will often have professional skateboarders as instructors. They usually run about a $1000 for the week. They often have many other programs like gymnastics, BMX and other sports. This is often the highlight of a kids year. I was not able to go to one of these when I was younger. It would have been the best thing in the world. There are a few different formats and a range of quality for Pro skateboard camps. Woodward is the undisputed champion of skateboard camps. With locations all across the USA and internationally. They have the best parks, pros and facilities. Some of this is taken from the Woodward site. It gives you an idea of what to expect from the best. I rephrased it a little but they really do deliver the right stuff. Designed by staff and pros, the skate program focuses on skills, balance and style. After the daily mandatory group instruction sessions, attention is turned toward skater’s individual tricks. At this point instructors are stationed throughout the many many skateparks they have. Skateboard staff will oversee a testing period where you will be placed into instruction groups based on your age and ability level. Two and a half hours a day will be spent with some of the best Skateboarding Staff from around the country. Games, contests, and awards with prizes from sponsors and top skateboard companies. The most parks and variety of things to skate anywhere in the world. The best pros, Camp Woodward has become a home away from home for many of the world’s best professional skateboarders. You will be able to live the Camp Woodward life in stride with the same skaters you see on the TV and magazines. Other recreational activities going on around camp including Paintball, Go-Kart racing, Horseback Riding, Swimming, Ropes Course, Recording Studio, Camp Fires, Arts and Crafts, Daily games, and much much more. Element skate camp is probably the most skateboard industry connected skateboard camp. They don’t have the facilities and parks that Woodward has. What they do have is time with the pros. You get a lot of activities to choose from and you get the pros at your finger tips. Elemental Awareness the basics of wilderness survival (shelter, water, fire, food). Make your own skateboard. Learn the process from start to finish with professional equipment and instruction. Skateboarding Instruction. If you are just getting started or quite advanced, this program will give you the guidance you need to take your skating to the next level. Daily Contests. Compete in individual and group challenges to win prizes. ‘Zine Making Class. Work with a group to take photos, interview pro’s, layout, and produce a ‘zine that all campers receive at the end of the week. Waterfront Games and Boating, Fishing, Tie Dye, Guitar Workshop, Campers learn to play guitar collaborate in a live performance. See cabin skits, music, comedy, skate trivia and all of your favorite skate camp personalities. The pros really hang with the kids at Element skatecamp. The Windells was started by Tim Windell a champion snowboarder who was there from the beginnings of snowboarding. He was able to go pro before many of us had even had a chance to try snowboarding for the first time. They have turned their place in Mt Hood Oregon into a paradise for snowboarders and skaters. I can't speak for the other activities but they got the skateboarding right. With awesome skaters and really great places to skate. The promo video show so many activities for the campers that aren't skateboarding too. Located in the woods a few hours north of Toronto, Canada's largest city. It is a Christian youth camp that gives you a choice of what you want to do. They have a one hour sign up for skateboarding in a beginner course. If you decide you like it then you can skate all day if you want. They also have a full on B3 program for skateboarding the whole week. They have a 80,000sqft of parks. The facilities do other camps like BMX, gymnastic and have tons of activities like wake boarding, paintball, cooking, praying, you name it. I don't know of the quality of the skatecamp. Imagine it is good but can't really tell from the website. This camp does not provide their own skate park. They travel to two parks in the area a day. Stoke on Trent Plaza, the Works, Rampworx and The Boardroom.They provide everything from accommodation, transportation, food and instruction. A pretty neat idea. 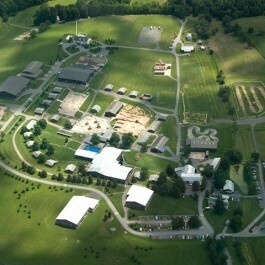 Much lower cost to create the camp yet still providing the skateboarding. I want to go to all of these skateboard camps. I think it would be the most fun to stay and skate the best places all day with the best skaters. What a great way to get your shred on.